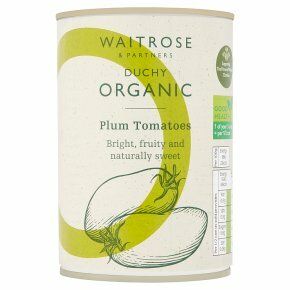 Juicy plum tomatoes, grown by organic farmers and canned in natural juice. Grown without reliance on artificial chemicals and fertilisers. Delicious in pasta dishes.